In the UK for the very first time in their illustrious 35 year career! This show will be their only non-festival performance on these shores!! Dramarama leader John Easdale has been around the U.S. more than a few times but only now are he and the band fulfilling a lifelong dream. Dramarama is heading to the UK to play the main stage at this year’s Byline Festival. 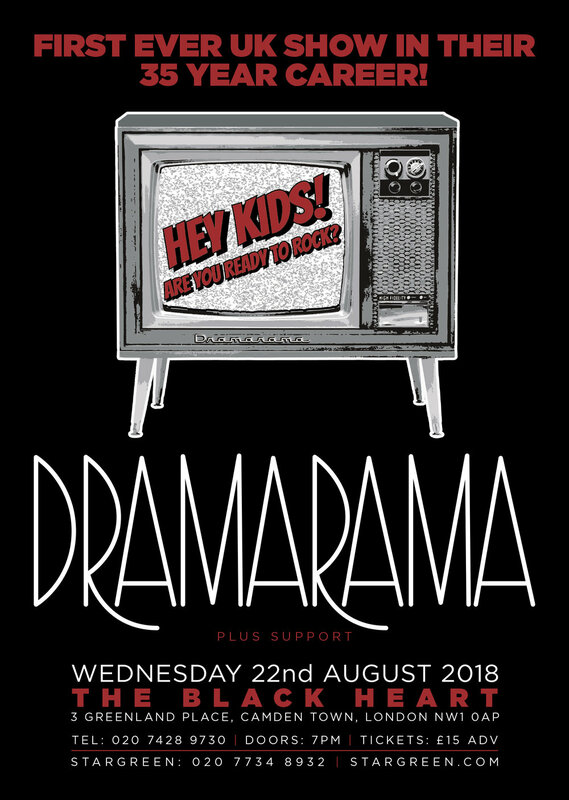 This trip marks Dramarama’s return after more than 30 years to Europe and first time ever in the UK. A pre-festival performance at The Black Heart in Camden will be the band’s only non-festival related appearance. "Growing up entranced by The Stones, The Kinks and The Who, and later David Bowie, T. Rex, Mott The Hoople and the entire punk rock and new wave, I still love this music,” says Easdale “And now my kids are devoted to a new generation of UK bands--Jamie T, Arctic Monkeys and Kasabian are forces to be reckoned with at my house. The love I had growing up for music coming from England was a major influence on my career choice; I’ve always wanted to go the UK, and to finally make it, 35 years after starting the band, is truly amazing!"